Recently renovated house with two floors, 4 bedrooms and 2 bathrooms. For the full prize table, please click on the button "See all rents" under the pictures. 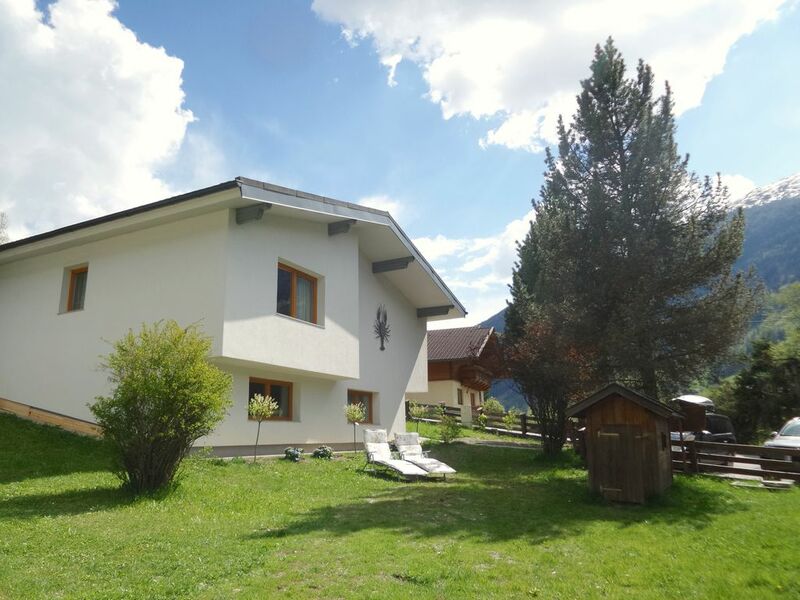 Near the Grossglockner is our newly renovated and fully conditioned cottage. The house is in an authentic village with many amenities. Because of its location on the south side of the Alps, this area has many hours of sunshine. In the vicinity there are 3 ski areas: Heiligenblut 10 minutes drive (55 km (+ 11 km), half an hour drive away the Mölltaler Gletscher (17 km (+ 7 km), with eternal snow) and the Lienzer Bergbahnen (21 km (+3 km)). Even in high season there are no waiting times at the lift! Zwei Tannen have free and fast WiFi. Our house has 8 very comfortable hotel beds and 1 guest bed. Given its peaceful location, good night's sleep guaranteed! The house is very spacious lounges. Because there are two floors offers plenty of privacy for larger groups. Upstairs are a large and small bedroom with 4 beds, living room, kitchen and bathroom. On the ground floor is the second bathroom and two very large bedrooms, one with TV. The cozy living room with luxury wood stove with comfortable armchairs and a sofa. There is an 8-person Austrian seating area. There is a stereo system with DVD player and flat screen TV. Via the satellite you receive all the Dutch channels. From the room you come on the balcony overlooking the mountains. Thus, you can even stay out nice fit which when it rains and thunders. The separate kitchen includes a dishwasher, microwave, oven, ceramic hob, coffee maker, refrigerator and freezer. You do not often use the dishwasher, because generous cutlery, crockery and utensils are provided. On the upper floor are two further bedrooms, one large with two beds and a smaller one with 2 beds. There is a luxurious bathroom with shower, toilet and bathroom cabinet. On the ground floor are two very large bedrooms available, each with two beds. In one bedroom there is TV with o a.. All English channels, a DVD player, game console with games and other toys. There is a luxury spacious bathroom with shower, toilet and bathroom cabinet. In the bathroom are a new AEG washing machine and dryer. The garden surrounding the house has good insolation and there is plenty of garden furniture. Even in winter the house is easily accessible. There is a friendly Dutch keyholder on site where you can contact with any questions. There are three parking spaces at the house, one next to the house. At 600m distance there is a new, large supermarket with fresh bread department, a bank and a butcher's shop. Within walking distance are several restaurants. Super Gut! Immer wieder gerne! Schönes Haus und schöne Gegend .. wir werden vielleicht wiederkommen aber ganz sicher werden wir das Haus weiterempfehlen ! Zwei Tannen is within walking distance of a large, new supermarket, a butcher, bank and various restaurants. The house is a 10-minute drive from Heiligenblut, a quiet ski resort with a cozy après ski. Even in high season there are no waiting at the elevator! Beside the house is a large skiwei who d. M. V. Snow cannons are prepared daily and is suitable as a practice area and for small children. In half an hour you drive to Lienz, the provincial capital of East Tyrol. There are many large lakes (o. A. Weissensee and Mittelstattersee) within driving distance. The famous Grossglockner High Alpine Road starts a few minutes drive from the house. Toeristenbelasting € 1,90 per persoon per nacht. De bijkomende kosten van € 4 per persoon per nacht zoals hierboven genoemd zijn alleen van toepassing bij een bezetting van meer dan 4 personen. In het laag- en midden seizoen wordt dan voor iedere extra persoon € 3,60 per nacht gerekend en in het hoogseizoen € 7,20 per persoon per nacht. De (automatische) tekst van Homeaway is verwarrend in dit opzicht! Elektriciteit tegen kostprijs. Bed-, bad- en keukenlinnen is in de prijs inbegrepen.